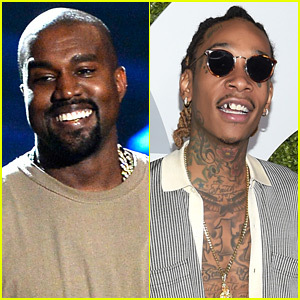 It has been nearly a week after Kanye took shots at Wiz after mistakenly thinking that Wiz's tweet "Hit this kk and become yourself" was in reference to his wife, Kim Kardashian. Kanye tweeted today that he and Wiz spoke and everything was positive. 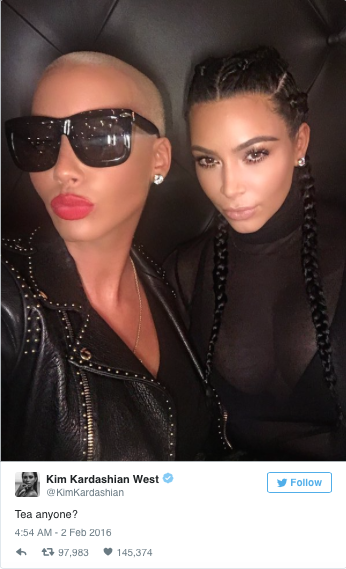 Their wives confused the internet after Kim posted a selfie of her and Amber Rose with the caption 'Tea anyone?" Although things appear to be squashed between Kanye and Wiz, the internet will not soon forget Kanye as the #FingersInTheBootyAssBitch.